This is a most envied piece, that feels perfectly weighted. The African hard wood handle is inlaid with the most beautiful mother of pearl marquetry. The 6/8 stainless steel blade is easy to hone with a strop, it is a larger blade from Dovo who usually stay around the 5/8 mark, making this a more impressive piece. The blade is full hollow ground and round nosed. Dovo Is the leading German straight razor company for quality razors, who have out done themselves with this handmade masterpiece. The handle made of the Grenadille fruits hardwood and inlaid with this beautiful mother of pearl geometric pattern. 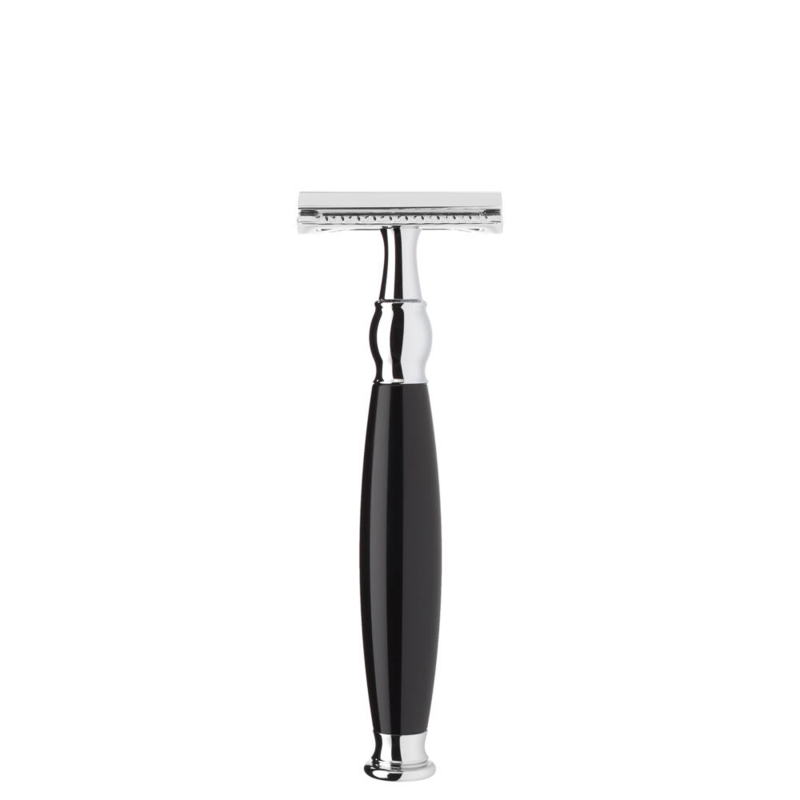 The Blade is 6/8″ stainless steel. Which is easier to hone and maintain by strop the blade is full hollow ground,we recommend a double sided strop, canvas and leather to maintain a stainless steel cutthroat. I would personally proceed with 8 strokes canvas and 8 strokes leather finishing on the leather and would repeat this movement before every shave. 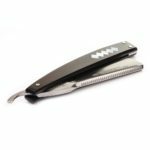 The hanging hair test is a tried and tested quality control for a straight razor. 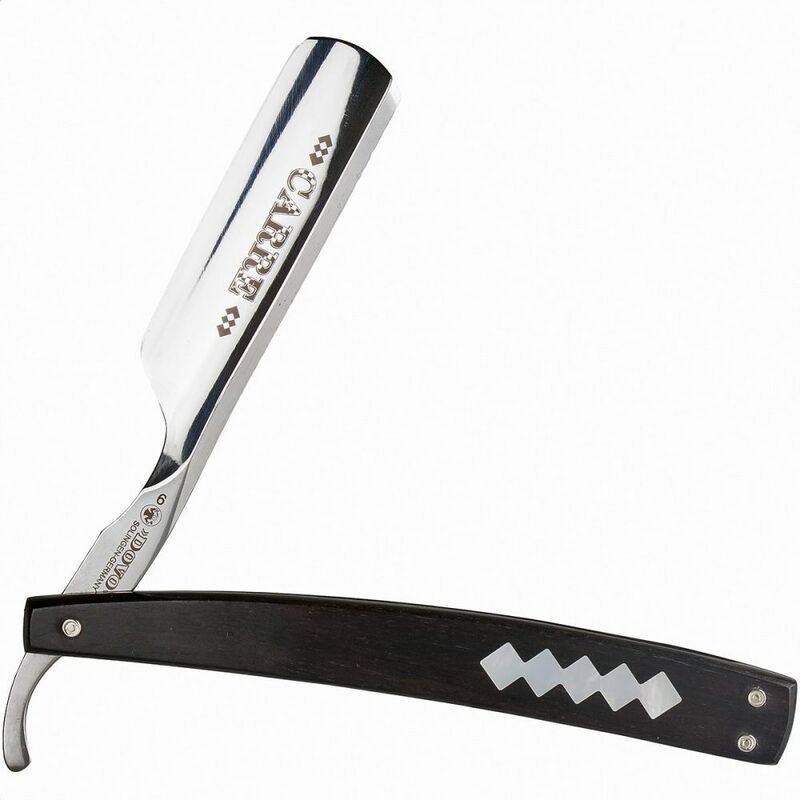 Simply being, if a straight razor can glide through a single hair without sawing at it. Historically Germany’s straight razor industry resides in solingen which is also region in south west Germany. which is also where the armies where armoured. 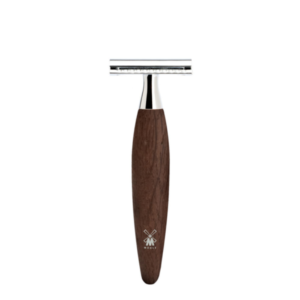 The Dovo Grenadille wood handle straight razor 6/8 Is truly a beast from the east. It is the equivalent of the England sheffield, which sadly do not make straight razors anymore due to an Industrial battle between the countries in the early fifties. Sheffield could not compete with the prices Solingen were producing at. 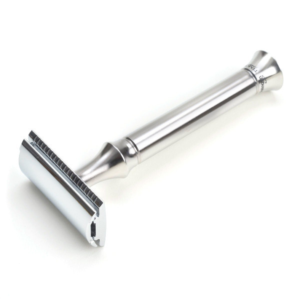 Eventually they sent English razors to be hollow ground in Solingen, or so was said. I was privy to this information from the old Sheffield steel company J Adams, which once where J. Knowell the straight razor firm and one of England’s oldest. 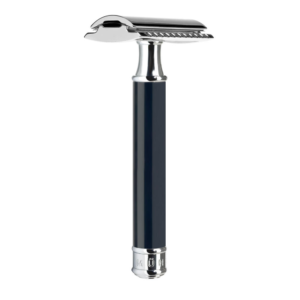 This is a wonderful razor, it would make a great gift or coming of age present. Perhaps a christening or bar mitzvah. The Dovo Grenadille wood handle straight razor 6/8 which also comes in a nice case for protection we will deliver it within several days.